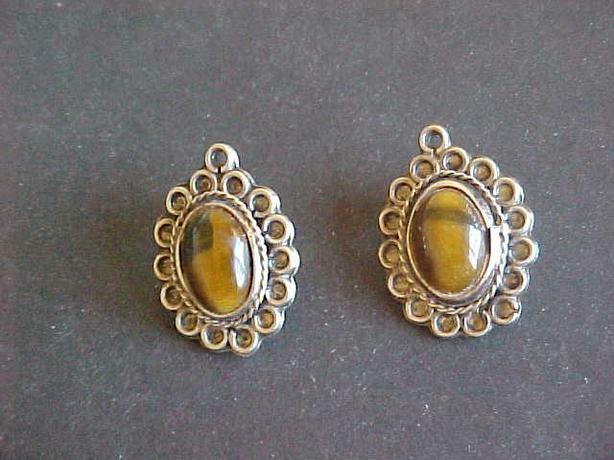 THIS IS A PAIR OF ATTRACTIVE STERLING SILVER CATS EYE STUD EARRINGS. THEY ARE MARKED ON THE BACK MEXICO, TM-157, JMZ 925. BOTH ARE IN GOOD CONDITION. PLEASE VISIT MY OTHER ADS.